2 weeks ago, a batch of shale shaker and 2 sets jet mud mixers were shipped to the sea port for a drilling company in India. The shale shakers and jet mud mixer is for 2 drilling rigs. The customer is very familiar with Chinese suppliers. Regarding shale shaker, their previous supplier is U.S and European brand. For this order, they compared all their previous suppliers in U.S and European, and also contacted nearly all the solids control manufacturers in China. But finally, they believe GN Solids Control products is the most attractive with its excellent quality and reasonable price. Furthermore, GN Solids Control has its own screen production line for different models replacement shaker screen. GN high quality composite material screens for GN shakers can help them saving much cost on the screen consumption. They believe GN shale shaker and jut mud mixer can give more benefit to them. One of the client’s concerns is that, their jobsite is very corrosive. 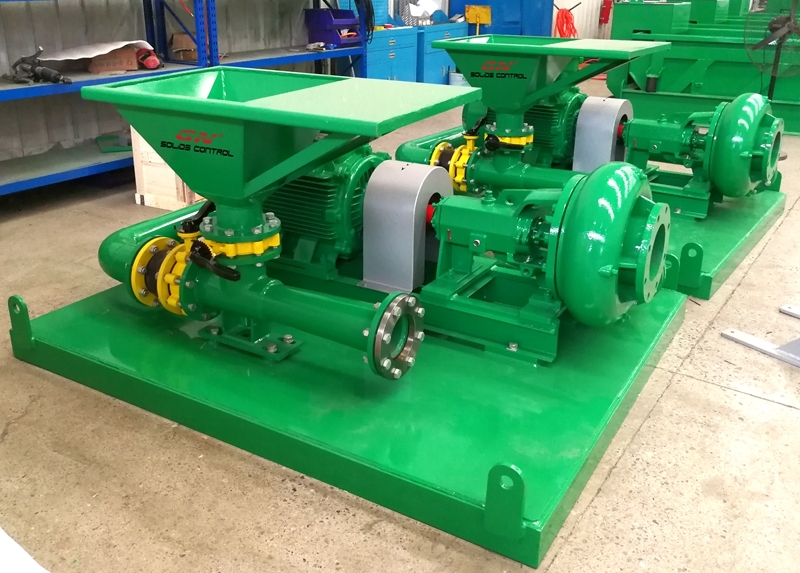 It requests an excellent anti-corrosive performance of the shale shaker. 1) All GN paint brand is Maritime Heavy anticorrosive Japan Kansai paint. 2) GN Solids Control shale shaker deck is made from stainless steel. For other companies, they mainly use carbon steel. Heat treatment on the whole shaker deck and the additional reinforcing beam at both sides of the deck wall make the shaker deck strong enough for high vibration force to perform a better separation performance. 3) High standard pre-treatment of steel material. All the parts should be prepared by ball blasting except for the galvanized parts and the place, which cannot be prepared, by ball blasting. Besides all the benefit, GN Solids Control can offer high quality replacement screen the clients old shakers. GN Solids Control high composite material shaker screen performance and lifetime is even better than the OEM screens. But GN Solids Control screen price is much better than the OEM.